With Apple regaining its lost ground in the smartphone market with a combination of longevity and innovation, we can say that the company is back on track in the trillion dollar market. But, we all know that it all started for apple with its knack for creating a singular device that left other tech companies scratching their heads. The iPads, iPods, iPhones and Macbook Airs are all these kind of products that set the American tech giant apart from all others during the era of late Steve Jobs. However, the Apple products development took a hit in recent times since the death of Jobs and it is only until now that the company has flexed its muscles again. 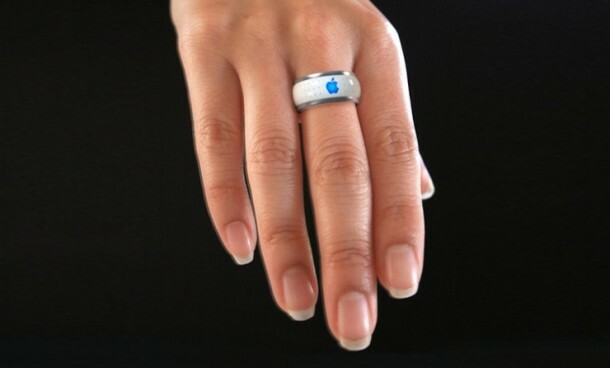 In major news this week, Apple has finally got a patent for a ring-based smart device that will have many functions of iPhone and will mostly be controlled by the thumb while being worn on the forefinger. We don’t know when it will be completely ready for the public right now, but it is safe to say it could be a dealbreaker for the smart tech industry. It will house a small touchscreen that can be controlled with the help of a thumb and be able to take pictures, send messages and maybe even incorporate biometric sensors to record our heart rate as well as other indicators so we won’t have to carry a bulky smartphone each time we go running. It is also reportedly equipped with a camera, short messaging and even motion detection system to take notes from a user’s writing movements! Now you can digitally record hand written notes without the need of using it on an odd touch surface and a stylus. The iRing will surely be a game changer in the industry! The patent mentions the general concept of a finger-based platform that can interact with the user’s phone and have a touch screen for controlling it. It also mentions that it is worn on the first finger and receives input from other fingers. So, the company have been very clear in the patent and Apple will have exclusive rights of using this kind of concept to make a device. So, what will you do now, Samsung? Surely you can’t be held in contempt of a patent! 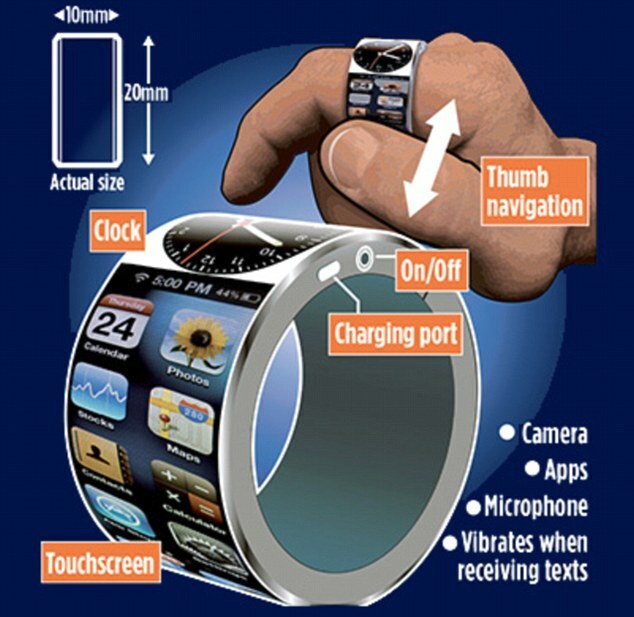 Maybe they will come up with a device that is worn on thumb instead! This is getting interesting. page, as here every stuff is quality based stuff.